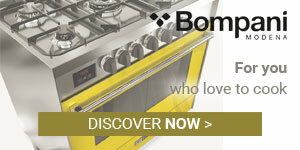 Choose from thousands of products: Electrical appliances, Rubinetteria, Furnishings, Bathroom. I requested a pick-up from the office and it was carried out without any problems, without having to wait; excellent contact and service! Excellent product, fast turnaround times, courteous and helpful in resolving any logistical problems on the seller's part. Recommended. The kitchen arrived on time. Accurate and available. The company listens to the buyer, and does everything it can to help him. I would certainly recommend Vieffe to other buyers. Very positive evaluation, they were friendly and skilled during the order process, the delivery was rapid and problem-free. Shipped and arrived two days from the order. Lightning-fast answers to emails and 5-star packaging. Recommended. I found the item I was looking for through some research, and found competitive prices along with excellent service, delivered before the indicated time. I purchased a high-quality product at an affordable price. Serious seller and very rapid order receipt. Skilled in responding to the information requested in relation to the item I was interested in, which I then purchased. Well-organised and fast shipping. The online shop where you can buy everything you want for your home. Buy the item you're looking for easily, quickly and safely, and browse through all of our categories. Discover the best offers on the Web with a selection of the best brands and the best prices. Thousands of items are always available for immediate shipment directly from our warehouse; if you prefer and are able to, you can opt for the direct collection option too. Our customer service staff are always available to track your purchases. Your satisfaction is ours too. Vieffetrade is the best on the market for sales of built-in ovens, electric, gas, and induction hobs, refrigerators, dishwashers and small appliances like KitchenAid. For experts in cookery, we offer both Fama and Fimar professional appliance ranges, which are suitable for restaurants or those who just want to be a chef in their own home. Major Italian and international brands (AEG, Electrolux, Hotpoint Ariston, Neff, Siemens, Smeg) for immediate shipment. The importance of being able to breathe pure, healthy air in the kitchen is should not be underestimated. That's why kitchen hoods are indispensable throughout every stage of cooking, to maintain the perfect ambience that reigns supreme in any home. Our functional hoods, but designer hoods too are supplied by leading companies in the sector, like Elica, Faber and Falmec. Every kitchen has its jewel. Sinks Sinks are an indispensable element in a cooking area, and at our online shop, you can buy all of the most common types on the basis of the recipe you need: free-standing, flush-mounted, semi-flush mounted, under-worktop mounted. You simply have to choose the number of tanks or the shape, angled or rounded, and in just a few clicks you can find the perfect sink from the best manufacturers around: Blanco, CM Lavelli, Foster, Franke, Schock and Telma. What good is a sink without a own mixet tap to allow you to use it? the most modern solutions to the triumph of classicism, taps are a must in any kitchen. Whether your choice is the practicality of a hand shower, the convenience of having directly filtered water or the functionality of a collapsible sub-frame, the convenience of buying from us is the same. Crolla, Frattini, Geda, Grohe, KWC, Newform, Paffoni are brands that reign supreme; simply browse through what we have on offer and make your selection. Elegance, design, touches of style, aesthetics and comfort. All of these identify the furniture on sale on our website, which range from the most common items like tables, coffee tables, chairs, stools and beds to more sophisticated accessories like armchairs, consoles, cupboards, bookcases. Find your own style and get inspiration from the best Made in Italy brands: Alta Corte, Bizzotto, Cantori, Connubia Calligaris, Dialma Brown, Domitalia, Midj, Ozzio, Sedit, Target Point, Tonin Casa. The room that's the cradle for personal care has an intrinsic value that should never be overlooked. Every detail reflects your personality for guests at home: from the profile chosen for the shower box to the finish on bathroom furniture, from the shape of the mixer to the advanced technology of the shower head. Complete your bathroom by buying furniture and taps at an affordable price. Arrange it with the major manufacturers in the sector: Arblu, Ardeco, Kios, Mariani, Novellini, Treemme. We don't dread the heat or the cold, which is why we're offering you the ideal air conditioning solution for cooling your summers and warming up winters to make them milder: buy pellet fires or wood fires by Montegrappa and Nordica. We also offer a wide range of decorative items, like Pintdecor designer paintings and clocks and furnishing accessories that ensure added value for your living areas: hangers, shelves, benches, TV stands, bottle racks , mirrors. The online shop where you can find everything for your home, as well as for your garden! Enjoy summer all year long with our selection of outdoor furniture.